As others have guessed (in different forums), the red car with the horrifically sloped rear glass is most likely the rotary hybrid or the electric boost vehicle, dubbed "Kai", and the grey car is the new 3 sedan. 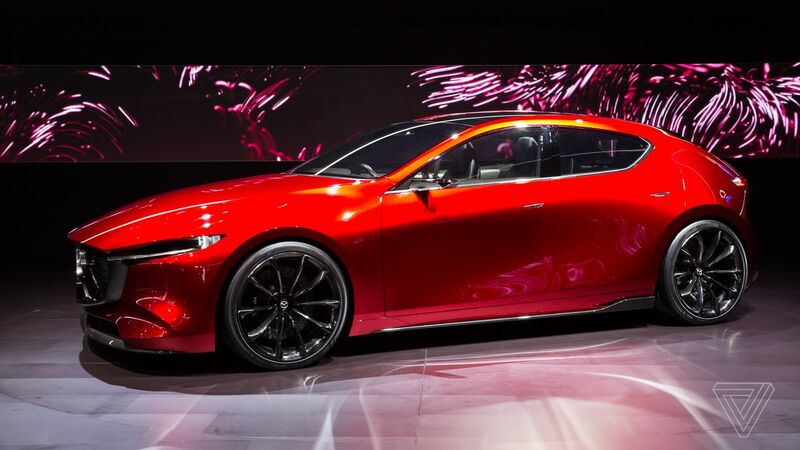 But various news junkets have the Kai tabbed as the next Mazda3 without mention to rotary hybrid.... Guess we'll find out next month!